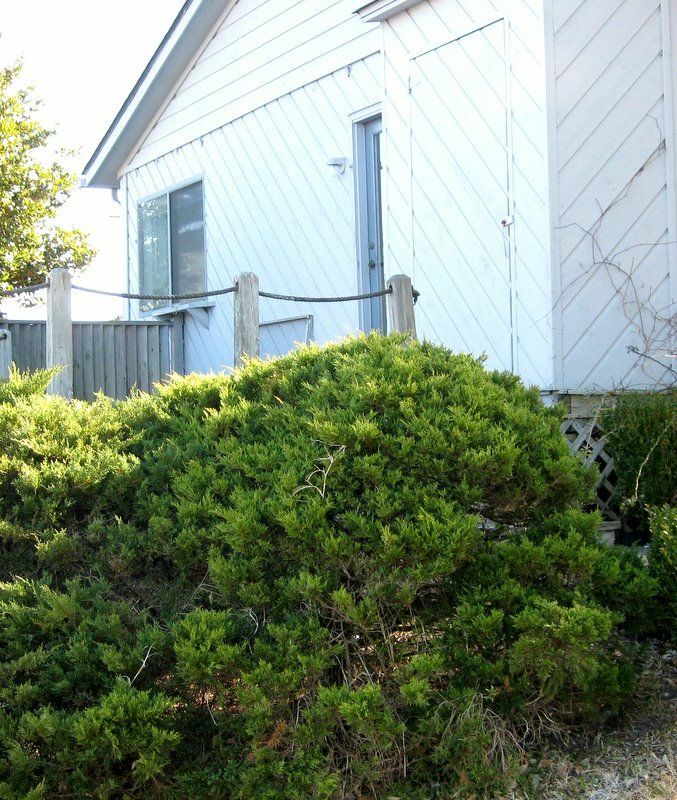 Shrubs were overgrown and the deck needed help. 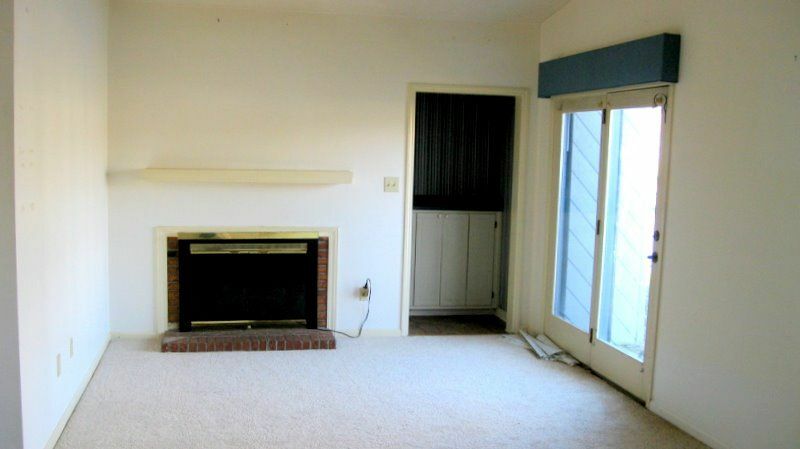 We're looking at a condo and considering flipping it.We've done this enough to know what to consider going into the deal. We know that buying right is key to making money in real estate. Home staging and DIY go hand in hand, but anyone doing home repairs should know that there are times you need to bring in professionals to make the workmanship look...well, professional. Smart rehabbers, investors, renters and homeowners recognize the times when doing it themselves is shortsighted, when repairs and improvements are beyond their skill set. Besides needing the skills to do a job that will actually improve the value of a property, a person needs the right tools, sufficient time, a certain amount of patience, and maybe an extra pair of hands. Since Mr. Lucky and I have worked alongside experienced tradespeople like masons, drywall guys, trim carpenters, cabinetmakers, flooring and carpet installers, and landscapers, we know that experience makes a big difference. When time is of the essence, and it usually is when dealing with real estate buying and selling, investors need to calculate the cost of doing it themselves to "save money," because in the end, it may be more expensive than paying someone else. This property needs to be on the market for springtime buying season. We wouldn't have time for futzing around and do-overs. 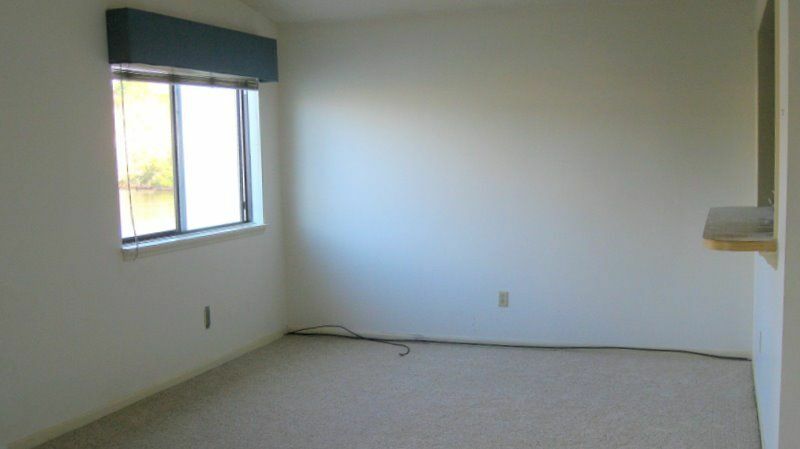 The condo's living room had new carpet, but the walls were dinged, and the room felt small. We have a friend I'll call Mr. Carpenter. He is our go-to tradesperson and a genius one at that! He has saved us serious chunks of money when we worked with him on three previous houses. What’s valuable is that he comes up with creative solutions to thorny problems. Years ago he put himself through college doing carpentry and has been part of the construction industry ever since. I don’t know his age, but I know he’s almost eligible for Medicare, so figure it out. That’s the kind of guy you want on board with a project like this. 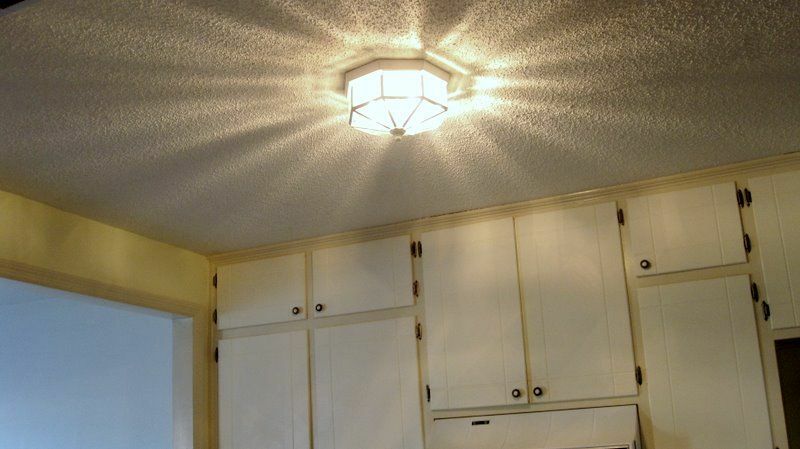 Light fixtures that didn't really illuminate, and popcorn ceilings were problems. He could make new oversized cabinet doors to make the kitchen more attractive, and install a new countertop. He could bump the vanities three inches up to make them look more contemporary, and then give them new countertops, sinks, faucets, and lights. He could replace the range hood with a microwave and exhaust fan combination. He gave us a price for all these things that fit nicely into our penciled sheets. The baths were typical for a 1980's condo -- wallpaper, vinyl, brass, and wooden seats. To keep costs low, Mr. Lucky would work alongside Mr. Carpenter. And we’d do all the grunt work ourselves – removing wallpaper, patching walls, installing lights, pressure washing the deck and walkways, and clean, clean, clean. 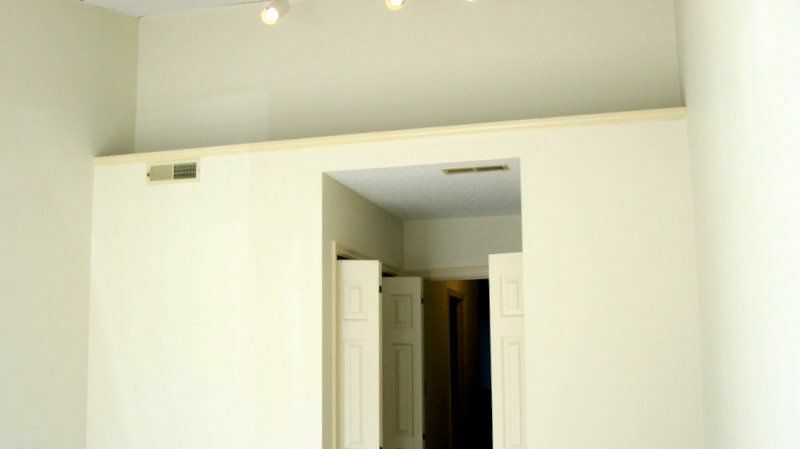 Of course, we’re painters, so everything would get a coat or two of fresh paint – ceilings, walls, closets, cabinets, doors, trim. We’d buy a new stove, install new posts on the deck, and clean up the landscape. The rooms aren't large. That won't change. The colors are wrong. That can be changed. 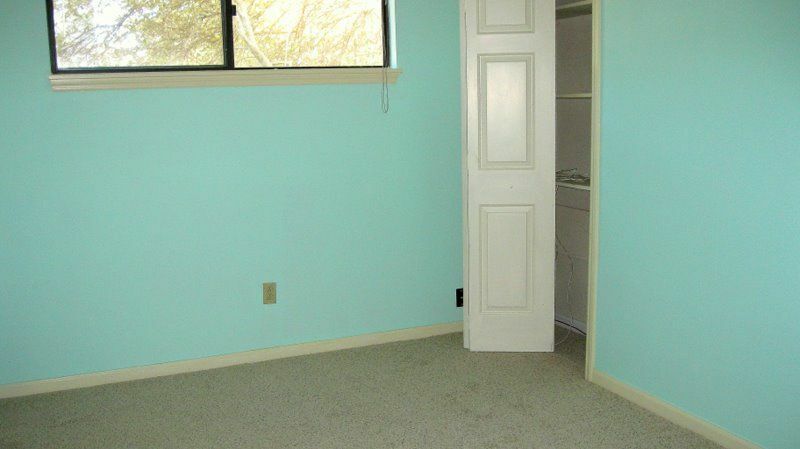 Bedroom number two, painted an even worse color. Should we worry about small windows? One room had a high ceiling, and a ledge I could use for staging. 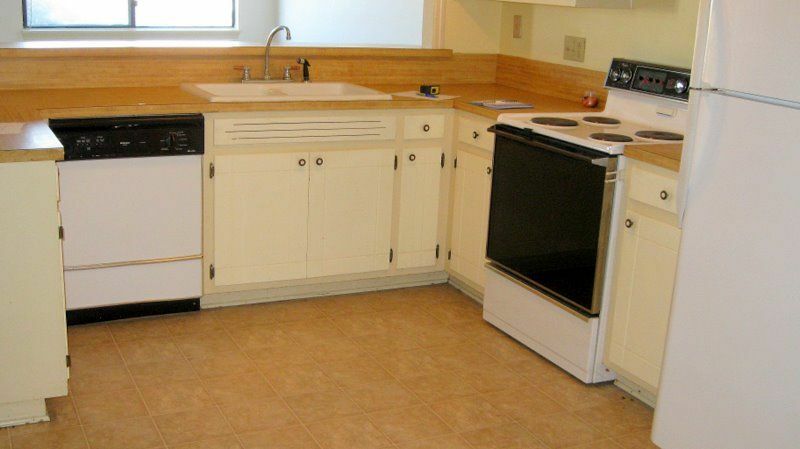 Kitchen appliances, cabinets and countertop were dated and showing wear and tear. Since this room overlooks the water, I would stage it as a dining area. 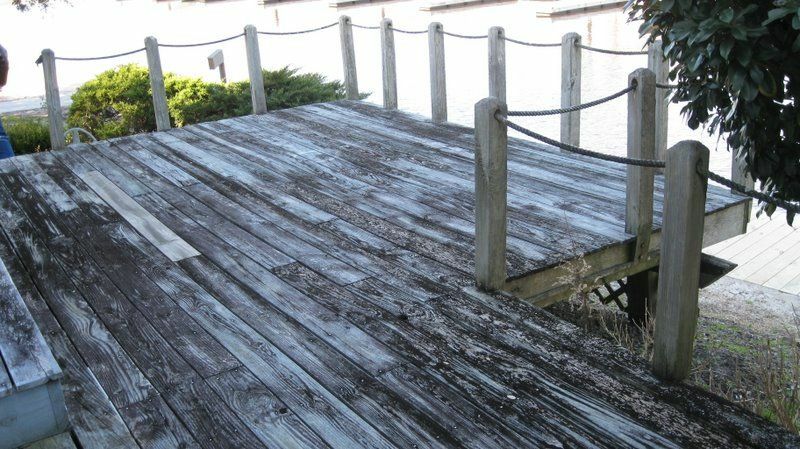 We don't know whether the deck is salvageable with just pressure washing and paint. 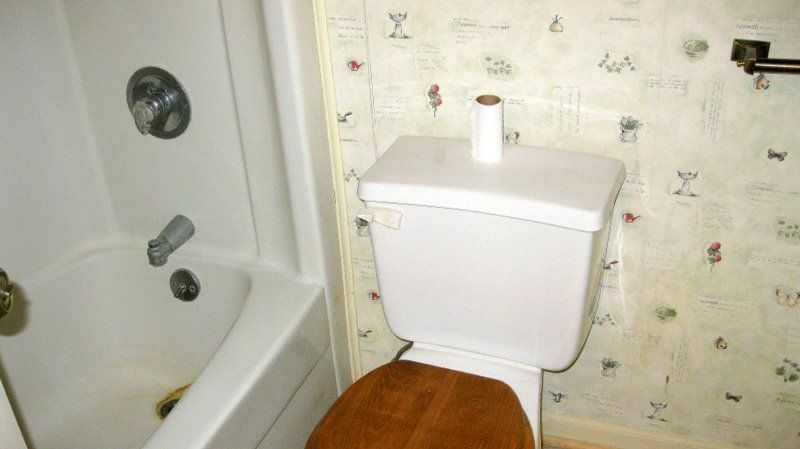 Of course, we'll then stage the property to maximize its value. We would not even consider trying to sell a home without staging it to accentuate all that's good about it, and minimize its shortcomings. In this home, the best feature is location -- waterfront. 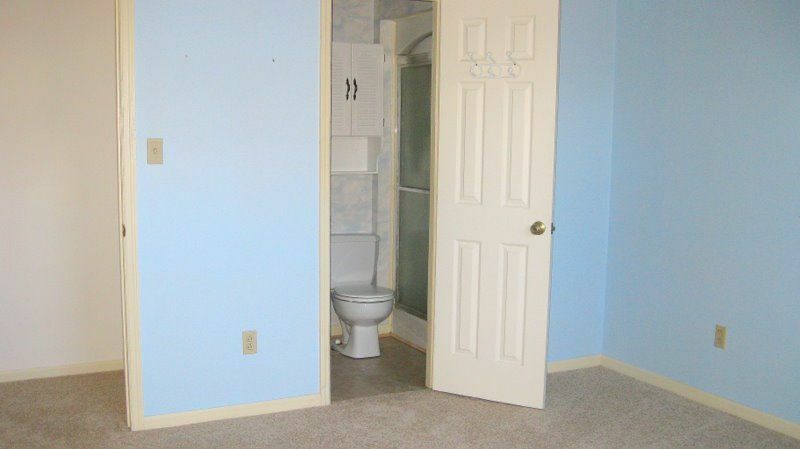 The downside is that it is small and nondescript. There are no architectural details of interest, no spacious rooms, no high-quality touches. So, my challenge would be to make rooms look larger, more interesting, more luxurious, and to showcase the water. I love tackling a project like this! We’re almost ready to make an offer, but we want to double check all our figures and scratch our heads some more. Are we missing anything? If you are considering making changes to a property and you want to know where to spend money for the best return on your time, talents and cash, ready my eBook, DIY Home Staging Tips to Sell Your Home Fast and For Top Dollar. I'll show you what home buyers look for when they shop.